If there is one thing you should never leave behind when going for an outdoor activity or a trip, it’s a knife. Pocket knives are going to help you with your everyday task in one way or the other. 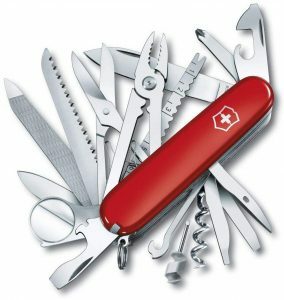 A good pocket knife does not only have a blade but also perform several tasks such as opening a bottle, have a built-in screwdriver, and even a scissors. 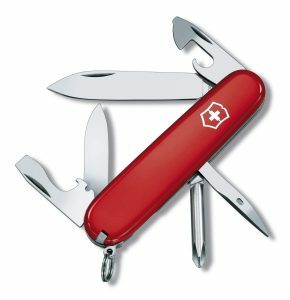 You will find thousands of different pocketknife models in the market and choosing the best one becomes a challenge. In this article, we have reviewed the 10 best pocket knives in 2019 that you can buy. Material: There are many kinds of materials that can be utilized to make a pocket knife. From the blade to the handle. Look for the one that has a strong and comfortable grip. Aside from the handle, pocket knives with durable and anti-corrosive blades are the best. Most blades are made of high carbon or stainless steel as they are durable and can be used in a variety of tasks. Shapes and Sizes: All pocket knives bland and models come with different size and shape. Manufacture usually states on the description of the measurement of the knives. Choose one that is lightweight and comfortable to carry it around. Number of Blades: Some pocket knives are Single-blade and have a sturdier and stronger locking mechanism; however, they lack versatility. 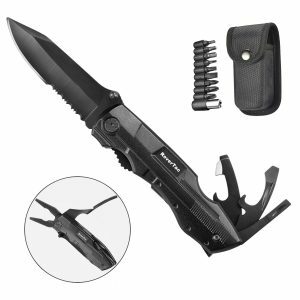 Others are multi-blade pocket knives and can help you to perform a variety of tasks. Pinnacle Arrow is a tactical pocket knife that is cheap, decent and has a very basic design. It made with 420C stainless steel rust proof materials that make the knife long lasting and also have high hardness. Comes with a sleek cool design letting you fold the knife blade and you can open or close with one thumb only. This five in one tool comes with a can and bottle opener, seamlessly transformed plier and 9 in 1 screwdriver bit adapters that will help you in all your everyday functions. 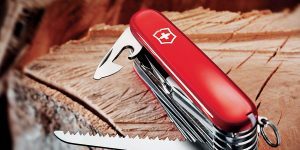 The pocket knife is built with safety protection as it features a safety lock that will prevent the knife from accidentally closing back when in use. Other than that, this knife is backed by a one-year free replacement warranty. KIZER Vanguard Series is a decent looking little pocket knife that originates with decent construction and a very low price tag. With its Flat ground, VG-10 blade offers a smooth and great slicing performance. 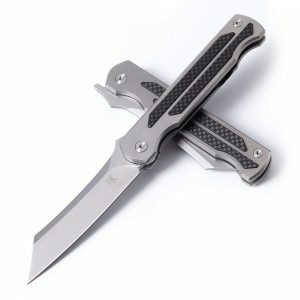 It also comes with a Reversible pocket clip that will enable you to carry the knife either on the right or left side. Furthermore, the dual thumb studs enable you to easily open or fold the blades with just one hand deployment. 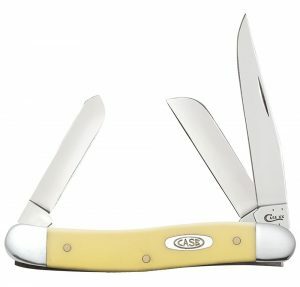 The Pocket Knife has a Stainless Steel liner that makes it durable and long lasting. It has a blade length of 3.46 inches and this makes it portable to carry it from one place to another with and ease. 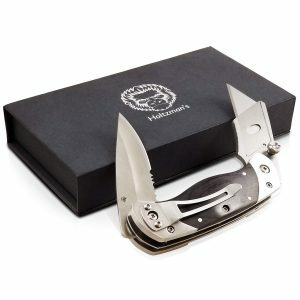 A list of best pocket knives would never be complete without a Holtzman’s Gorilla Survival Utility Knife in it. It’s a very popular knife as it can be used in everyday tasks such as cutting rope, dressing, skinning and more. Ideally, this unit is incorporated with a lot of tools and comes in a compact design for easy carrying in your everyday activities. Made with high-quality steel, this ensures that it will serve you for a long time. They are designed to have a folding lock-back mechanism for easy carrying and you can use it anywhere you need. This Utility pocket knife from RoverTac is fully loaded and lightweight and offers a sleek design. It is constructed from full stainless steel that has durable black oxidation and this makes it durable and compact. Other than that, this multifunctional Folding Knife is ideal for home improvements, outdoor activities, hiking, fishing, camping, hunting, and survival. With its safeguard locking mechanism design, this ensures that the blades do not fold back when it is in use. This knife is very durable and sharp and is only suitable for adults. It also features a ballistic nylon pouch that allows you to wear it on the belt loop conveniently. This multipurpose folding KATSU knife is a thing to own as it is convenient for daily tasks, hunting, camping or hiking. It measures only 5-inch when closed and has a total length of 9 inches. Thanks to its carbon and titanium fiber handle as it will offer a comfortable grip and anti-rust property. Other than that, the Frame Lock will guarantee you more safety as the blades will stay in place when you open. Moreover, it will give you an easy one-hand closing. This knife comes with a beautiful and strong titanium pocket clip. The knife is extremely sharp to perform any dairy activity task and come with an affordable price. The BlizeTec might be the most perfect and efficient little pocket knife. 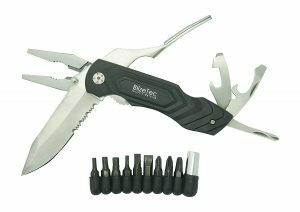 It’s a 15-in-1 tool that comes with a 9 combo utility sets, can & bottle opener, smart pliers and a sturdy pocket knife. The unit will help you in your DIY projects, ad-hoc home improvement jobs and any outdoor activities. As a matter of fact, this Pocket Knife comes in compact size and this makes it easy to carry around. This little pocket knife will fit perfectly into your palm and can be easily carried with a nylon pouch. It is also light and easy to use. The sleek looking handle is made with black aluminum coating and will look beautiful all the time. Backed by an uncompromised lifetime warranty. 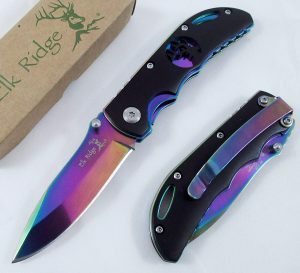 The Elk Ridge Rainbow Frame is a one-handed pocket knife that enables you to open the steel blade with an easy flick of the thumb. It also has an ergonomic handle that will bring comfort whenever you are using the knife. Additionally, the blades are usually locked when you are using the knife to avoid them from folding back when using them. Besides having a comfortable grip, this knife is well polished and this will make it beautifully pleasing to any person. Ideally, it measures 3 inches when closed and comes with 2.5 inches stainless steel blade. The lanyard hole and pocket clip will allow you to comfortably attach it in your belt. This Pocket Knife has a stunning design and lines among the best-looking models on the list. It features 33 functions helping you in your everyday adventures. The knife includes a corkscrew, pliers, bottle opener, scissors and 2.45 inches large blade. All these are made with high-quality stainless steel and they are encased with polished red ABS scales that offer sleek durability. 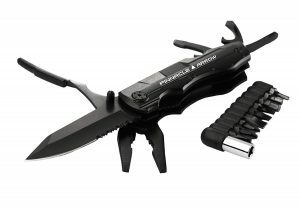 Whenever you are boat scaling or camping, this pocket knife set will perform all that you need as it is a multipurpose tool. In short, this knife is ready to tackle all the jobs in your outdoor or for home activity. The Case Pocket Knife is made with top craftsmanship and will look appealing to everyone. It’s perfect for an everyday pocket knife for any project in your house, hunting or any other outdoor activity. This item measures 3.63 inches when closed and has a total weight of 2.5 ounces. This makes it lightweight thus it will be easy for you to carry it everywhere. The knife has chrome vanadium steel and also comes with a sturdy and comfortable smooth yellow synthetic handle at your disposal. The blades are also locked after opening for safety. Finishing our review is this classic Pocket Knife from Victorinox. It has a compact design and this makes it ideal for outdoor activity such as hiking, fishing or camping. The knife is also hardy for each day use around your office or home. As a matter of facts, the knife has stainless steel construction and it is encased in red ABS scales giving sleek durability. This pocket knife is equipped with 12 functions such as, bottle opener, Phillips screwdriver, small blade, 2.45 inches large blade, and a can opener that has a small screwdriver. The item is lightweight and comes with a lifetime guarantee against manufacturer defects in workmanship. 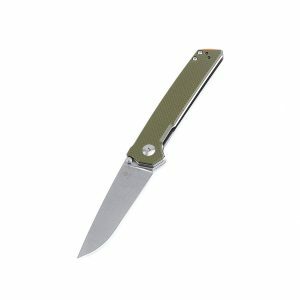 All the pocket knives in this list are high-quality knives and will last for you for a long time. They come with affordable as well as compact design. A good pocket knife will make sure that you can make sharp and consistent cuts throughout the years. Choose one from this list and will deliver great performance.